As the father of ecosophy and a real pioneer of holistic ecological thinking, Naess has created the basis on which much green thinking rests. The philosopher Arne Naess, who died recently at the age of 96, left a rich body of work behind. Internationally he was known as the originator of deep ecology, but environmentalism was just one facet of his philosophical work. In addition to his fame as a thinker, he was also well known as a mountaineer and even as a competent boxer. 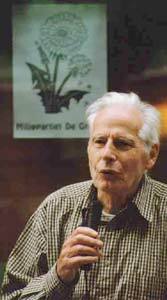 Naess was influential in founding the Green Party in Norway, and in shaping Green Party philosophy around the world. Naess was a co-founder of the Norwegian Green Party, Milj¯partiet de Gr¯na. Born in Oslo on January 27, 1912, Arne Dekke Eide Naess studied in Paris, Vienna, Berkeley and Oslo. He received his doctorate in Philosophy at the age of 24 and became Norwayís youngest ever professor three years later, in 1939. At this time he identified himself as a logical positivist, that is a follower of strict materialist scientism, a position he later modified significantly. As professor he introduced a compulsory course in philosophy for new students, and wrote several textbooks that are still in use in Norwegian universities, including a manual of logic. Together with peace researcher Johan Galtung, Naess systematized Gandhi’s teachings on nonviolence, and visited India several times to discuss Gandhian philosophy there. His writings on Gandhi, such as his book Gandhi and the Nuclear Age (1965) are astute, deeply engaged, and spiritually beautiful responses to Gandhi’s teachings and stand out among all the books written about Gandhi. In the 1960s while teaching at the University of California Berkeley as a visiting professor, Naess was introduced to the psychedelic drug LSD, which he claimed had a significant influence on his later thinking. During this period he left the certainties of positivism and entered philosophical regions where many truths exist side by side. 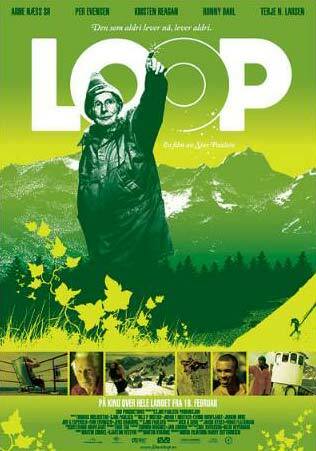 His own systematic formulation of ecological philosophy was significantly called Ecosophy T, to indicate the possibility of other equally valid ecosophies, and with the T standing for the Tvergastein mountain hut where he lived and worked. Naess co-founded the Future Is In Our Hands movement together with Erik Damman at a public meeting in Nadderud Hall outside Oslo on April 25, 1974. More than 2,000 people were in attendance. It was based on the idea that consumption among the affluent in world society must be reduced in order to solve the most serious environmental and development problems. In 1973, Naess published a short article in the journal Inquiry (which he had founded) entitled ‘The Shallow and the Deep, Long-Range Ecology Movement’, influencing the ecology movement worldwide. In this widely reprinted article, Naess argued that a deep ecological movement must identify with life itself, protecting other species not for their value to humans, but for their intrinsic value as aspects of the wholeness of life. He contrasted Deep Ecology with what he termed a shallow ecology movement that believed protecting the environment could be accomplished within the existing structure of society, without reforming basic human relations with nature; but by better technologies, economic growth, and scientific management. The Deep Ecology movement spanned many advocates during this period, including Judi Bari, Thomas Berry, Wendell Berry, Fritjof Capra, Bill Devall, David Foreman, Warwick Fox, Joanna Macy, David Orton, John Seed, George Sessions, Gary Snyder and others. The debate between Deep Ecology and Social Ecology provided a distinct philosophical context for strategic debate, as the Green movement grew throughout the 1980s and early 1990s. Environmental lists were organized in many places through the seventies and eighties, some places taking names like “Green Party” or “Green List.” In 1987 a group of academics presented several lists under the name “The Greens” at local elections, and gained a seat in the district council of Akershus, near Oslo. Encouraged by this moderate success they contacted other local environmental voter alliances, and began a series of discussions in the offices of the Center for Environment and Development, a university department led by Naess, eventually leading in the fall of 1988 to the founding of the nationwide Milj¯partiet de Gr¯nne (meaning “The Environmental Party The Greensî). Naess himself did not seek public office but regularly anchored the partyís campaigns since 1987 by holding the last place on the Green local and national election lists in Oslo. Over the years Naess attended occasional party meetings, appeared at one or two rallies each election campaign, and occasionally contributed to the party magazine. Even though the Norwegian Greens have not yet gained parliamentary representation, Naess continued to believe their electoral presence served an important role. Naess also briefly served as the Chair of Greenpeace Norway when it was founded in 1998. In his later years Naess became an increasingly well-known public figure in Norway, and as a respected philosopher on the international scene. †He featured regularly on TV talk shows and wrote or coauthored several popular books on the application of philosophy. Naess also consistently called for a substantial reduction in human population, arguing that a world population of 100 million – roughly a 60th of the present figure – would be compatible with quality of life across the planet. Naess was a whole human being noted for his sense of humor and a level of physical activity that amazed many who were many decades younger. 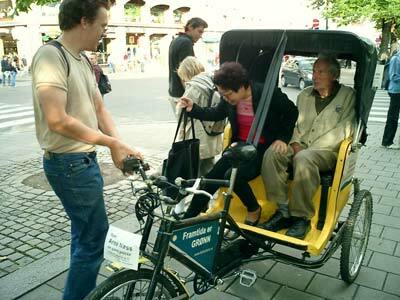 Naess continued to campaign for the Green Party into his 90s. Here he campaigns in 2003. Along wiht Edward Abbey, Mr. Naess shaped me into the activist I have been since the 70s. The world will miss him…the Earth a whole lot more! 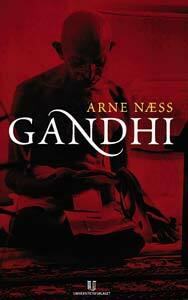 Arne Naess was a truly remarkable man, and one that influenced me to subscribe to this growing and vital movement. Thank you for the in-memoriam article of a remarkable man. He has influenced my thinking enormously, to become a deep ecologist myself. He will always be my admirable Teacher.